Sue Harsa, commonly known as Madame, taught from 1971 to 2014. Madame started her love of French at Saint Teresa’s Academy as a junior in high school and earrned her BA in French and English at Saint Benedict’s College in Atchison, Kansas. Upon graduation from college, in 1971, she started her career teaching English in Fort Dodge, Iowa. Subsequently she moved to Waterloo, Iowa where she taught French and English and finally she moved to the Chicago suburbs where she spent 35 years as a French “prof” at St. Francis High School. In 2010, Madame representated the St. Francis community as a Golden Apple Award recipient . 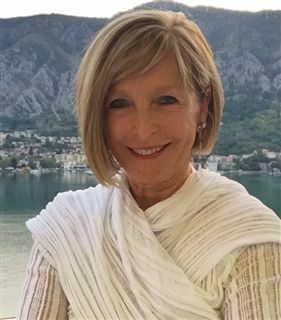 While in graduate school, Sue lived with a French family in Angers, France and earned her MA in French Conversation, French Culture and Instructional Methodology from the School of New Learning at DePaul University. In addition to her work in the classroom, Sue has been leading groups of adults as well as students to Europe for thirty-seven years. She has led educational tours to England, France, Italy, Switzerland and Spain. Additionally, she has participated in educational tours to Germany, Austria, Belgium, Cambodia, Thailand and Vietnam. Sue has a love of different cultures as well as a passion for travel. In June of 2017, Madame will be leading a group of intrepid travelers on a tour through Italy in honor of the 60th Anniversary of St. Francis High School! The group will have a special tour and Mass in St. Francis’ home town of Assisi. Sue has been a presenter at the TFT Conference (Teachers for Tomorrow), the AATF conference (American Association of Teachers of French) and the ICTFL (Illinois Council for the Teachers of Foreign Language.) More recently, Sue has been spending summers in the classroom again. She is teaching for Golden Apple coaching college students who want to become teachers. While at St. Francis, Sue served as the sophomore moderator, Kairos Retreat leader, Student Government moderator, the International Club moderator, co-moderator of the Société Honoraire de Français and the World Languages Department Chairperson. Sue is the mother of two sons, a stepson and two stepdaughters. She is also proud to boast 8 grandkids! Her son Carey is a St. Francis graduate who participated in the alumni football game in 2012. Sue resides, with her husband Joe, on Lake Walloon, in Plainfield.